Indiepalooza Part 1! Top Indie games to watch out for in 2013. So for ages we have wanted to showcase some of the worlds finest indie games, stuff that really stands out from the crowd and makes us excited to be gamers. So, without further ado, here are some of the stand-out indie offerings that are either released, in-progress, or soon to be released. Enjoy! 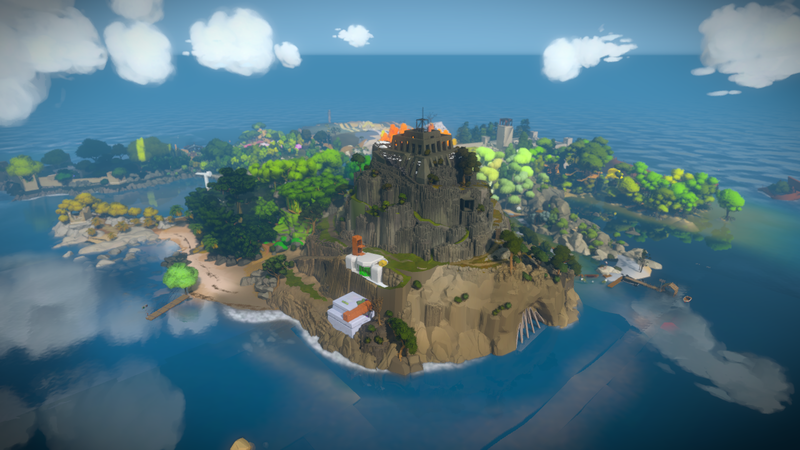 The Witness is an exploration puzzle game that slaps you right in the middle of an uninhabited island with nothing but questions. What is going on, what happened here? Where is the Starbucks? From what we have seen, this is an undeniably beautiful game and reminds us of something between Dear Esther and Myst. Considering this is being put together by Jonathan Blow, the guy behind Braid and all this could add up to something to be very excited about. For you if: You like beautiful sprawling landscapes, puzzles, serenity and an alternative gaming experience. Not for you if: You want something fast paced or multiplayer. Here is how the game looks so far! Years ago there was an amazing game called: Zomies Ate my Neighbours, well, Ray’s the dead reminds us of this, only this time you are the zombie… If you ever played a game called Stubbs the Zombie: Rebel without a Pulse, well this seems to be reminiscent of that. You raise a zombie army and find out why you were killed! With a very appealing 2D/3D mixed art style, there’s a lot to love about this game on first glance. Kickstarter funding for this project was cancelled (we are unsure as to why, but probably under-funding as it only achieved $26k of it’s $75k goal) but you CAN choose to Greenlight it on Steam now! For you if: You love zombies, action-puzzle games, strategy. Not for you if: You don’t like 2D/3D mixed games, if your not a strategy head. Here is how this zombie-muncher looks in action! I’m actually pretty stoked about this game. Think of Super Monkey Ball with absolutely stunning settings, great euphoric backing tracks and some mind bending puzzles, that’s what you have here. You play as what can only be described as a beach ball on steroids, rolling around and attracting / pushing other objects to complete goals, as well as tons of other puzzles. With it’s visual style, Influx meets somewhere between Marble Madness and Mirrors edge, and looks like it could be a great way to sink a few hours. Best of all, this beauty should be released TODAY (Tuesday 23rd July 2013)! So keep your eyes out. For you if: You love playing original and great looking games, puzzles and headscratchers. If you liked Super Monkey Ball or Marble Madness, you should love this. Not for you if: You get easily frustrated, or want something more fast paced, you didn’t enjoy Portal. How does it roll? Like THIS! This platformer is really turning heads due to it’s unique and original mechanic, as well as it’s extremely well imagined visual style. You play as Dawn, using your tricks of light and shadow to fluidly morph between the physical world, and the shadows in order to help a young girl named Didi. 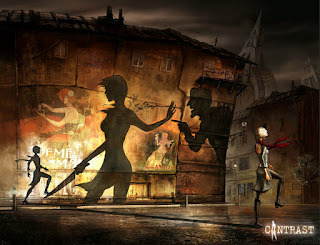 Contrast merges an intriguing retro visual and audio style with modern gameplay and a unique shadow mechanic to create something that makes us slightly moist. Best of all, it’s coming out “soon”. fingers crossed! You’ll like this if: You enjoy unique game mechanics, are a fan of platformers. If you liked Deadlight, you will probably love this! You won’t like this if: You aren’t in to puzzle games, you want something more straight-forwards, you aren’t a fan of retro style in games. Seems as though there are a lot of indie puzzle games in the works right now, and Project Temporality isn’t going to break that tradition. All we can say about this one is, think of Portal, but instead of making portals to get somewhere else to push buttons, you are warping time. It’s hard to describe what the premise of this game is, but if you watch the trailer below, we’re sure you’ll get the gist. This is shaping up to be a well put together 3D puzzle with a great twist! You’ll like this if: You liked Portal. You won’t like this if: You didn’t. LET’S DO THE TIME WARP AGAAAAINNN! Do you get scared easily? Yes? Probably best to skip this one then… Asylum is an in-progress psycological horror inspired by the works of H.P Lovecraft. You get slapped right in the middle of he Hanwell Mental Institute, which apparently was not exactly a five star establishment. This baby has already been fully funded on kickstarter and is well on it’s way to scaring the pants off us, extremely excited about this one and can’t wait to make some reaction vids when it finally jumps out! You’ll like this if: You enjoyed Amnesia: the Dark Descent, or pretty much any ultra-creepy horror game! You won’t like this if: Your pregnant, suffer from a heart condition or are of a weak disposition. Released: Unfortunately no word on this yet! Want to see how much this will loosen your bowels? After receiving an overwhelming response on Kickstarter (the original ask was something like $30,000, and they ended up making nearly $300,000!) A Hat in Time is being made with a vengeance. As a cutesy whimsical homage to Nintendo-esque 3D platformers of yesteryear (think, Mario 64 and Banjo Kazooie) with a bit of a french overtone, this game has got a lot of people pretty excited. Expect plenty of double jumping, item collecting, cell shaded platformer fun with a very cute art style. there’s no multiplayer here (although there may well be co-op, W00T! ), no natty gameplay mechanics to twist the game in to something else. this is going to be a pure adventure platformer, but it already looks like it has a big pile of polish! You’ll like this if: You enjoyed Banjo Kazooie or any 3D mario platformers. You won’t like this if: You want combat, or don’t like cute graphics. Go go Mari… I mean… Hat Kid! Ever wanted a “space colony management simulator”? No probably not, so better to think of Maia as a God game in space. 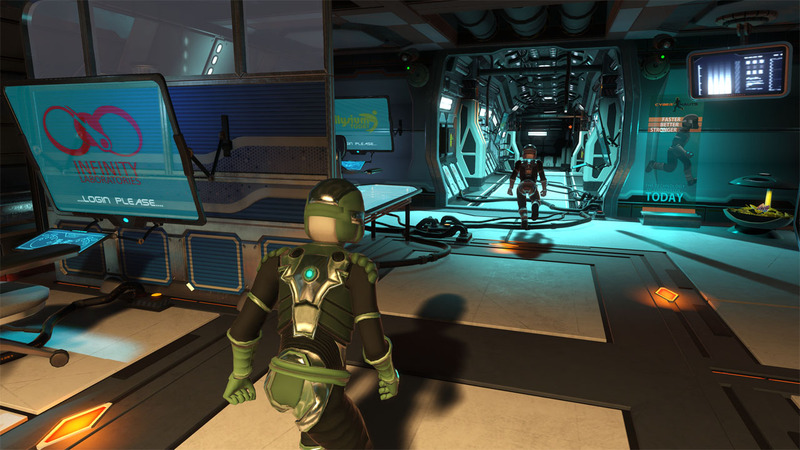 Maia is an Alien-esque moody and dark game not dissimilar to Dungeon Keeper in which you need to keep your colonists alive, fed and happy. 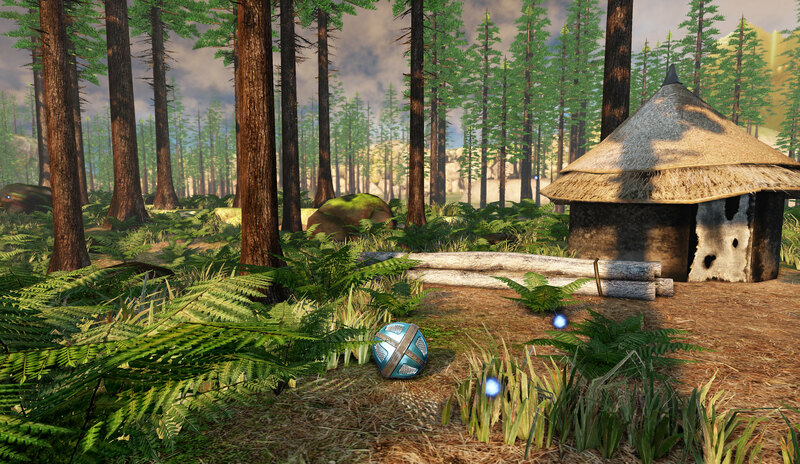 Maia has already been Kickstarter funded, and is well on it’s way to becoming a reality. Check out the video below to get an eyeful, but there is definately a gap in the market for a game like this! You’ll like this if: You ever enjoyed Dungeon Keeper, or Theme Hospital. You won’t like this if: You don’t like slower-paced strategy games. That’s it for the first batch of up-and-coming indie games. Hopefully there are a few there that are now squarely on your radar! The next batch of games will be up soon, so keep an eye on the Ready Player 2 website! The next batch of games has now been added! Check out Indiepalooza Part 2 HERE!